As I write, the Anniversary Games are reaching their conclusion, and Andy Murray is about to embark on his quest to retain the men’s singles title down the road at Wimbledon. Not only do I share the nationality of Laura and Andy, I am capable of learning from my experience. I look forward to coming back fitter, faster and even more determined to succeed after this eagerly-awaited summer break. At the start of the 21st century, a ‘what’s in it for me?’ attitude has become widespread. Not one shared by the children here at Blue Coat, I hope you will agree. Thankfully, inside and outside the classroom, your children have been bolstered and guided by traditional values and not least by our wonderful Chaplain, Mrs Elphinston. Through sound parenting and through the good teaching of our staff, many are flourishing – spiritually as well as academically. To revert briefly to my athletics theme, it was American runner Steve Prefontaine who helped inspire the running boom of the 1970s. (I don’t remember it, I read this!) Before he died in a car accident at the age of 24, Prefontaine held the American record in seven distance track events from the 2,000 metres to the 10,000 metres. “To give any less than your best,” he said, “is to sacrifice a gift”. As all us parents know, it is too easy, too tempting to let things slide: to let children eat chips four days a week; to slowly take control of the family, to choose the family holiday, car, house and even their school – well at least they got that one right! Usain Bolt did not achieve greatness by sitting on his Xbox 360! No. Not a bit of it! Our scholars became scholars because they listened to their coaches and teachers, worked hard, were prepared to take risks, learned from their mistakes, and believed that they could achieve. Now, with the power of modern media, we are all tempted to lead more insular, sometimes more distracted lives. This makes it all the more important for us as teachers to re-state and reinforce what is important. I love being a Head, helping others – children and staff – to achieve things that they had not dreamt possible. There is no higher calling, no greater privilege than to instil and preserve the main values. Permit me to make a few personal remarks. Firstly, to you, the Blue Coat parents, you are, in my experience so far, extraordinarily supportive of your sons and daughters. Thank you for supporting and guiding them through the Birmingham 11+! The team here care. Staff, you can make our pupils dreams come true! I commend your work on this front. We are blessed with the most wonderful support team and we must be the envy of many, many schools. Today I would like to thank all the staff, one and all, for the individual roles you play in our whole team success. As we have set about developing the curriculum here, my Senior Leadership Team has been wonderfully supportive and loyal. Thank you for your wise counsel and backing, and for believing in my conviction. Keeping the place super buoyant, too, have been The Friends of The Blue Coat School. This year alone they have provided us with new equipment for the Houses and delivered improvements to the Pre-Prep playground and learning support resources. The Friends are constantly beavering away quietly, in the background. Thank you! Now to our amazing pupils! This has been another fabulous year for you all in one way or another. Year 6 have excelled by gaining 49 Grammar School Places, 100+ Independent School Offers and gaining 33 Scholarships and Awards along the way. An outstanding achievement in its own right, and the legacy that will inspire our determined, hardworking Year 5 cohort to achieve a place at the school that meets their needs. 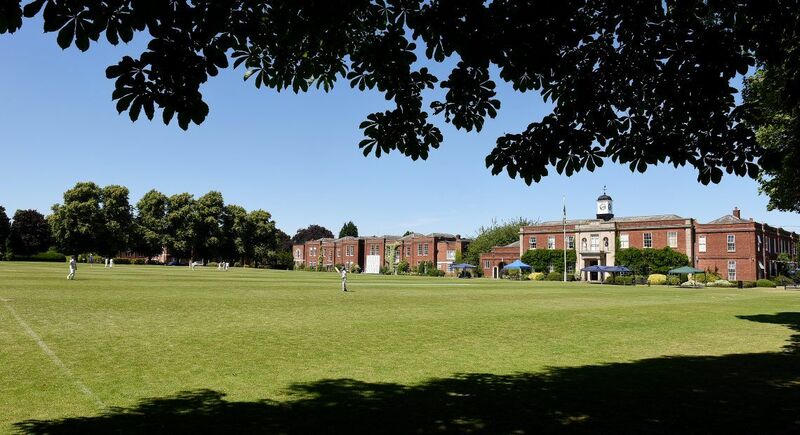 Not everybody wins a prize today, but all our children have had a chance to shine over the last year, whether it be academically, in a sporting context, musically, dramatically or by being a role model to others by demonstrating the Blue Coat qualities. They have taken that chance with both hands. Yes. the values by which we live are far more important determiners than the innate genetic ability with which we are born. Our curriculum is now beginning to back up that belief. Without the right attitude, these county and national achievements would not have been possible: Monique James-Thomas, Sofia Knight, Maia Noonan and Skye Henshaw became English School Freestyle Champions! Our swimming is a strength backed up by our pupils outside commitment but with the introduction of a new teacher in charge of swimming, the future looks positive. We also competed brilliantly at the IAPS Nationals Athletics at Alexandra Stadium and Netball at Basildon Sporting Village, Essex. It was great to be at the top table after many years of absence. The challenge is to stay there. Our Year 5 Boys recently became the Warwickshire County Kwik Cricket Champions – another great success. Outside School, children are excelling in all spheres from swimming to karate, to football, Gaelic football and badminton, to name a few. The talent here is astonishing. Yes, Sport is becoming stronger and with our new Astro-turf and we will have improved facilities. But, more important still, our Sports staff under the guidance of Mrs Bennett, are determined to give every child the opportunity to play competitive, fun sport – this is not easy but boy are they trying hard! This year we celebrated an excellent drama production. Children have blown away audiences with their acting talent. Curiouser and Curiouser showcased the amazing array of talent in Year 6. From wonderful clarity of voice to the stunning singing and dancing. Phenomenal! Music has continued to thrive. We must congratulate The Year 5 and 6 Choirs as well as the Chapel Choir. This Year we had the inaugural Choir Tour to York, led by Mrs Redfern and Mr Nicklin. The key quote from the tour came from the lips of a member of the congregation, who was surprised that ours was not a Cathedral Choir. Rich praise!! At School, music continues to develop and grow under the guidance of Mr Nicklin, ably supported by Miss Akehurst. The range of choirs and ensembles are testament to their hard work and dedication. That is the good news – or a snapshot of it. Chaplain will celebrate further successes of the year but time is against me! This year the School has to say goodbye to several stalwart members of its community. Please join me in standing to show your appreciation for these staff members who have given so much to the School. Coming into any new post is a challenge. The period of ‘unconscious incompetence’ leads, ultimately, to ‘unconscious competence’, and I would like to thank the governors for their advice and support through the past 12 months. Special thanks to our Chairman, Mr Singleton for his guidance and support. The Governors as a whole have been invaluable in driving high expectations so that I can place the School in a position as a national educational leader. I want also to pay tribute to my wife Jules for being amazingly supportive. Thank you for being you! Your love, patience and kindness have been invaluable in getting me through this first year. So, what comes next? I believe Blue Coat is very well placed to achieve our goal of gaining an ‘exceptional’ reputation. This was backed up by the excellent ISI report. The road will be long and not straightforward but all the decisions I make will be for the greater good of the children. My hope and my prayers go with Year 6 as they move on to the next stage in their educational journey. To our Year 5 children, I ask you to show the determination of Muir and Murray. I leave you with a thought, and a quote, from a man who is not always right, but who struck a chord with this. You know who said that? Why, none other than Donald Trump!